NOAA hires employees with many different career specialties. So many in fact that I cannot cover them all in one blog post. In an effort to give you a glimpse into some of the day to day happenings of the ship, I chose three different people with widely varying careers to interview today. 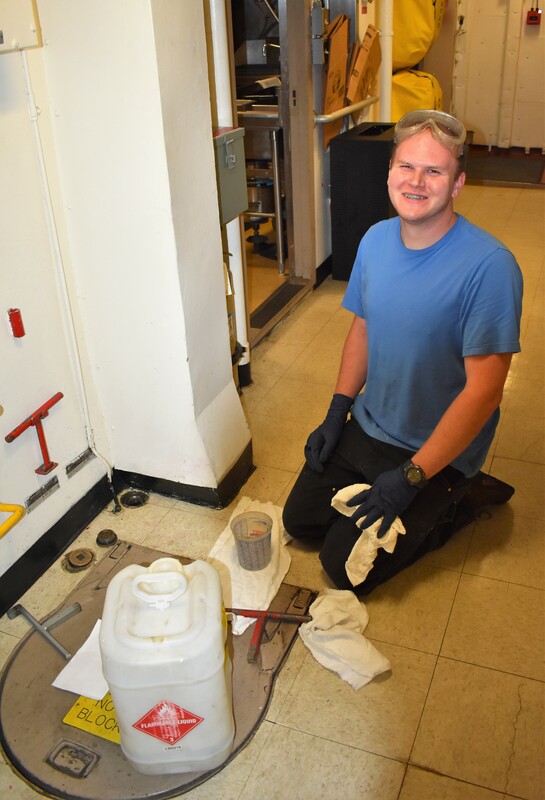 The first is Oiler Kyle Mosier, who works in the engineering department. Next is Erin Billings, a meteorologist from the National Weather Service visiting NOAA for this leg of the mission. Finally, ENS Jeffrey Calderon who works for the NOAA Commissioned Officer Corps as the Medical Person In Charge. 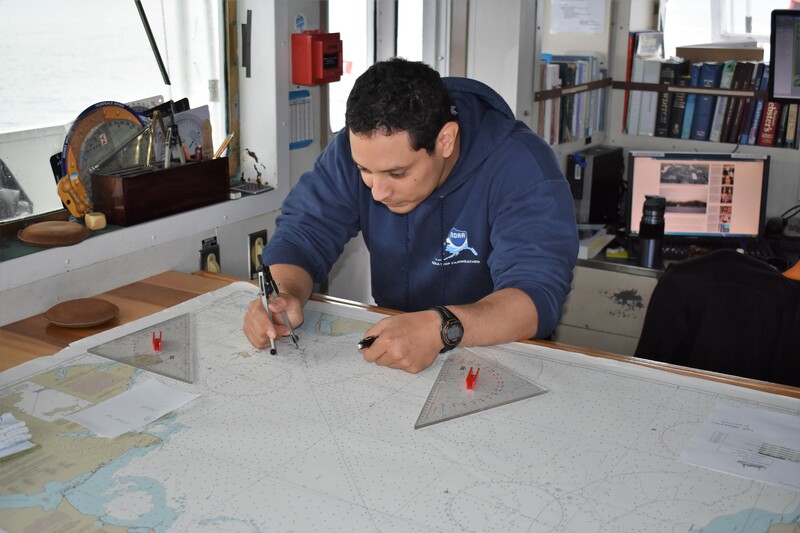 What is your job on NOAA Ship Fairweather? What do you think you would be doing if you were not working on a NOAA ship? What advice would you give to students who may be interested in a job like yours? What parts of your job can be challenging? What do you miss the most when you are at sea? What are the eligibility requirements to be in the NOAA Commissioned Officer Corps? As mentioned above, northern Alaska reaches temperatures colder than most people can even imagine! Nome’s record low temperature occurred on January 27, 1989. Without using the internet, how cold do you think Nome got on that day? The coldest temperature on record in Nome, Alaska is -54° Fahrenheit! Brrrr! 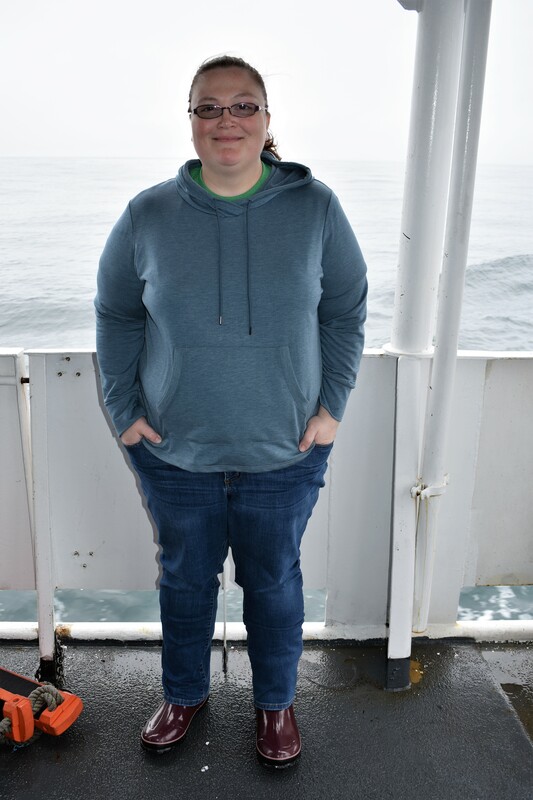 This entry was posted in 2018, NOAA Teacher at Sea, Taylor Planz and tagged interviews, meteorologist, NOAA Corps, NOAA Ship Fairweather, oiler. Bookmark the permalink.